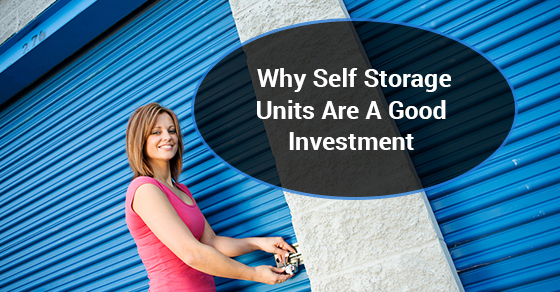 Are Self Storage Units A Good Investment? Many people all over the world turn to self storage units to help them manage clutter, store important valuable items, and make space for seasonal items. The peace of mind and the economizing of space that comes from investing in a self storage unit is usually well worth the money. Storage pricing varies, depending on location, size, amenities and other factors. If you are considering investing in a self storage unit and are wondering if it makes financial sense to do so, below are some of the things to consider. When considering storage pricing, regardless of the self storage unit and facility you decide to go with, a good way to put things into perspective is to consider the opportunity cost of not having the unit. Essentially, self storage units are good investments because they free up vital space in your home that can be used for things that you need on a more immediate basis. Storage pricing varies, but self storage units, generally, are much cheaper than you think. The square footage of a self-storage unit comes at a far smaller cost than the space in your apartment or your house, and the space that you free up in your home is priceless. One of the biggest benefits of self storage units is the protection that they afford. If the storage pricing has you on the fence, think of it as a security policy. A good storage facility will not only provide delicate, expensive and sensitive goods with a climate controlled environment to keep them safe and sound, they will also have round the clock surveillance and personnel on-site to physically monitor your belongings at all times. Are you spending a fortune on inventory and warehousing space? Even on office space itself? Many small business owners are turning to self storage spaces for alternatives to traditional warehouses and even offices in order to save money. Warehousing and office space can be incredibly expensive, depending on where you are located, and self storage space may make a lot more financial sense, helping you to save a lot of money. If you are thinking about investing in a self storage space, but storage pricing has you second-guessing yourself, consider the above benefits of a storage unit. You might just find that you save money and economize on space in your home and your office, making your life easier, and less expensive.